Insulting party history might be a crime in China. China is considering a law punishing those who slander heroes and martyrs or cause physical damage to their memorials, state news agency Xinhua said on Friday, the latest piece of legislation to protect the country's symbols of state. Xi Jinping has ushered in new legislation aimed at securing China from threats both within and outside its borders since taking over as president in 2013, as well as presiding over a sweeping crackdown on dissent and free speech. 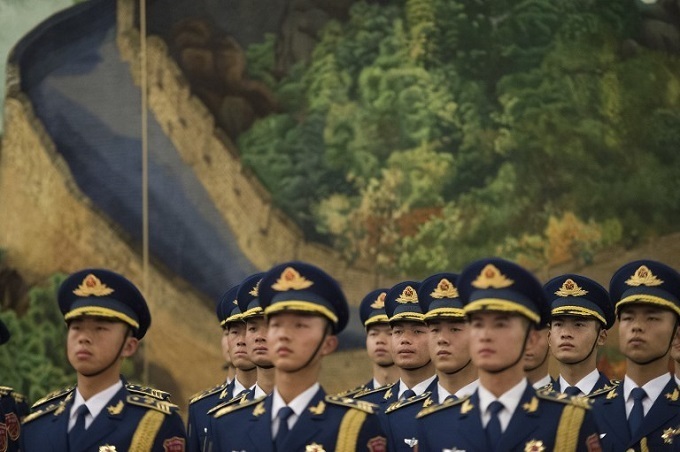 China's largely rubber stamp parliament amended its criminal law last month to extend punishments for publicly desecrating the national flag and emblem to include disrespecting the national anthem. Punishments include jail terms of up to three years. The latest proposed legislation is aimed at protecting the reputation of martyrs - those who have given their lives for China or the Communist Party - and who are already publicly lauded in the country. Memorials to those who fought against the Japanese during World War Two, or in the Chinese civil war against the Nationalists, and others are scattered across the country. School children learn about the feats of the most famous. Xinhua said the new law would offer unspecified punishments to those who insult or slander heroes and martyrs or damage their memorials. The law would also give a responsibility to the media and internet users to report any insults to the honor of martyrs, it said. It is unclear when the proposal could be put into law, but Chinese laws normally go through at least two rounds of drafting before they are passed, meaning it could be some months away. Party history is a sensitive subject in China because so much of the party's legitimacy rests on its position as claiming great historical achievements, such as leading China to victory over Japan during World War Two. Disputes about party history already occasionally make it to Chinese courts. A court ordered a former magazine editor to publicly apologize last year for two articles written in 2013 questioning the details of a well-known story about Communist soldiers fighting the Japanese in World War Two. In the story, the five soldiers jumped off a cliff so the Japanese could not take them alive, although two of them survived. The editor had expressed doubt about how many Japanese the Chinese soldiers killed, how the two survived and the location of the cliff.